Indulge the eye area with this lightweight, moisture-rich soufflé. 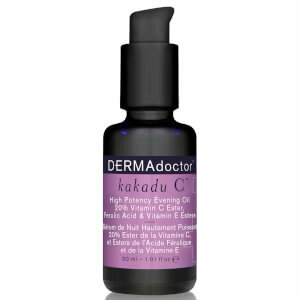 Stabilized vitamin C, Kakadu plum, potent antioxidants, caffeine, and tri-peptide technology help transform the signs of eye fatigue. This brightening eye cream hydrates, smoothes and firms delicate skin for a more ageless appearance. Wild harvested Kakadu plum puts the SUPER in super fruit. 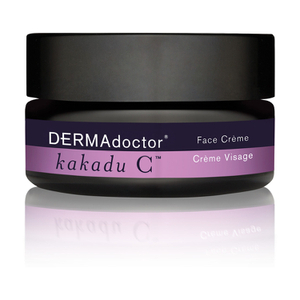 Ounce per ounce, Kakadu plums contain on average 55 times the vitamin C of Florida oranges. 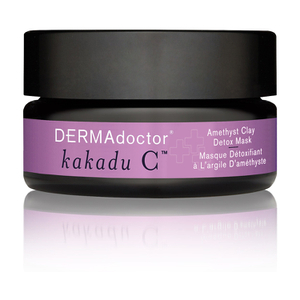 Vitamin C is a potent antioxidant and helps protect skin from environmental aggressors by fighting free radical damage. This formula is dermatologist and ophthalmologist tested and approved, allergy tested, hypoallergenic, non-irritating, non-drying, non-comedogenic, free of fragrances, dyes, parabens, phthalates, gluten, oil and sulfates and has not been tested on animals. Water, Isodecyl Neopentanoate, Glycerin, Cetyl Alcohol, Tetrahexyldecyl Ascorbate, Isononyl Isononanoate, Sodium Acrylate/Sodium Acryloyldimethyl Taurate, Copolymer, Polysorbate 80, Caprylic/Capric Triglyceride, Epigallocatechin Gallatyl Glucoside, Palmitoyl Tripeptide-38, Propyl Gallate, Gallyl Glucoside, Caffeine, Terminalia Ferdinandiana (Kakadu) Fruit Extract, Pleiogynium Timorense Fruit Extract, Podocarpus Elatus Fruit Extract, Grevillea Speciosa Flower Extract, Banksia Serrata Flower Extract, Anigozanthos Manglesii Flower Extract, Tocopheryl Acetate, Hydroxypropyl Cyclodextrin, Butylene Glycol, Sorbitol, Glyceryl Stearate, Alcohol Denat., Sodium Phytate, Phenoxyethanol, Ethylhexylglycerin.